Fitbit has quietly come up with a new fitness tracker, Fitbit Inspire. Even though it is reportedly the company’s cheapest model yet, you may not be able to buy it. It’s not because you won’t be able to afford it, rather it is because this new Fitbit tracker is aimed at businesses and insurance companies. Fitbit Inspire – what it is? Even though the fitness tracker won’t be available to purchase off the shelf or from Fitbit’s website, you can however still get it. Possibly, your boss may gift it to you or you can get it when you renew your health insurance. “These special release trackers are available exclusively through Fitbit corporate, wellness, health plan, and health systems partners and customers of their organizations, participants, and members,” Fitbit says. Though the price for the new Fitbit tracker is not out yet, TechCrunch notes that it is Fitbit’s cheapest tracker yet, and the listed features of the new tracker do support TechCrunch’s claims. Fitbit’s latest tracker offers basic fitness tracking features, like activity, sleep, and calories burned, plus smartphone alerts. 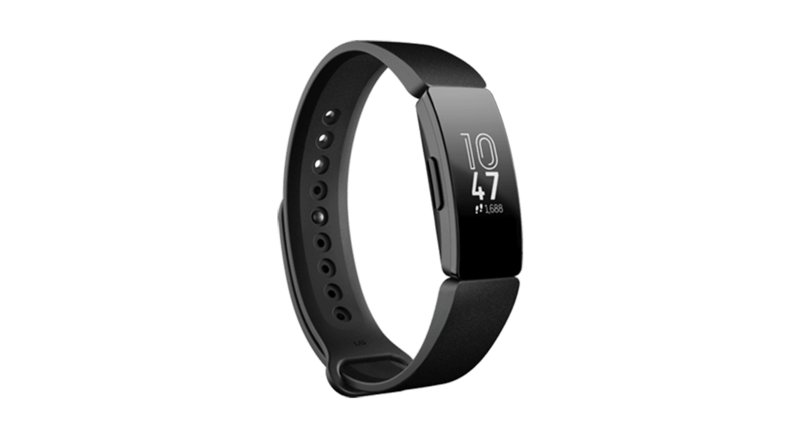 There is an advanced version of the Fitbit Inspire as well that offers heart rate monitoring and GPS. Fitbit’s latest tracker, which is swim-proof up to 50 meters and promises up to five days of battery life, is available in white and black. “Available exclusively through Fitbit Health Solutions, Fitbit Inspire and Fitbit Inspire HR are fitness trackers designed to make developing healthy habits easier for everyone,” the company says. There is nothing special about the design as well. One can wear it as a wristband or clip it to clothing. The new tracker also features a small touchscreen that shows time and other information. Fitbit Inspire is nothing when compared to Fitbit Versa, which works more like a smartwatch. The Fitbit Versa is the company’s fastest selling wearable. Since its launch in April 2018, the company has already shipped over a million units. New Fitbit tracker – how it could help Fitbit? Even though the tracker is not available for sale, it can still help push up sales for Fitbit. Several insurance firms already offer an Apple Watch, which helps them track the health and daily routine of the clients. Similarly, Fitbit, by making its tracker available to corporations, possibly aims to hop into the same market. In September, the company also came up with Fitbit Care, which focuses on employers and health care plan providers. The service gives users’ health data to care teams (with users’ consent of course) to give them customized recommendations. Also, the platform allows users to access customized care plans. Moreover, striking large corporate deals have emerged as a crucial strategy for the company, which returned to profit only recently. Also, in a recent interview to CNBC, Fitbit’s chief James Park said that the company increasingly relies on large scale deals. Further, the executive said that they already have about 6.8 million users through several various wellness programs, and they plan to keep that number growing. Additionally, it is very important for Fitbit to stay relevant in the market considering the rising popularity of the Apple Watch. Even though Apple caters to a different segment, it won’t take much time for Apple to come up with a less expensive offering. Apple, on the other hand, is also moving aggressively into the digital health segment. The company already provides coaching and other incentives, and is also in talks with companies to offer private Medicare plans for subsidizing the device. Also, Apple introduced a new app recently for the iOS and Apple Watch. This app, called Attain, is exclusive to Aetna members, and aims to encourage healthy behaviors along with giving users an option to earn the watch over a two-year period. Last month, Apple also teamed up with Johnson & Johnson for a study to determine if the Apple Watch and an app from Johnson & Johnson could help with the diagnosis of a leading cause of stroke, Atrial fibrillation, or AFib. AFib, which refers to irregular and often rapid heart rate, is responsible for about 130,000 deaths and 750,000 hospitalizations a year, said Johnson & Johnson. Further, the company said almost 30% of the cases go undiagnosed.